It is famously said that the “Great Commission” is not the “Great Suggestion”. 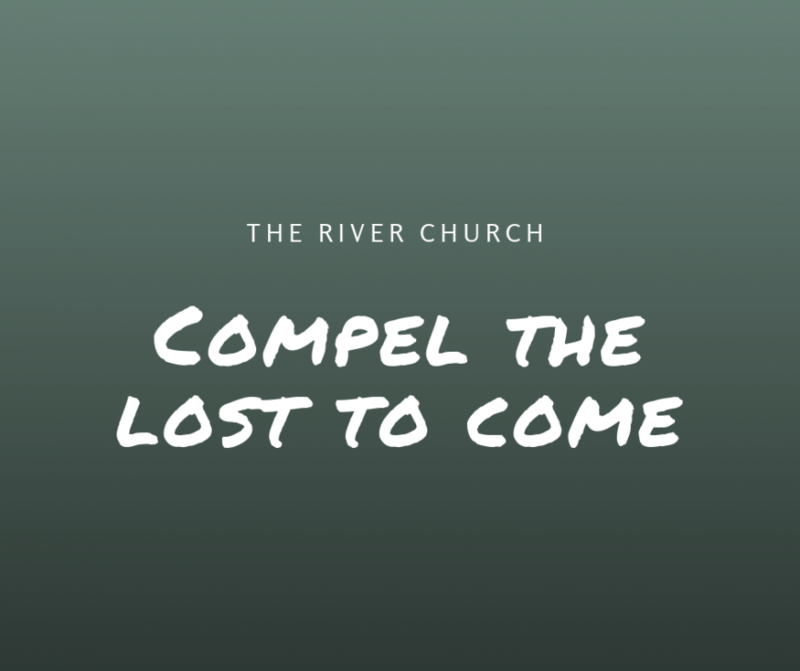 Jesus told us in the book of Luke to go out into the highways and byways and compel, not suggest, the lost to come. Jesus told Peter that he would be a fisher of men. The Lord Jesus wants to, by the Holy Spirit, come and do the same work in each of our lives. The heart beat of Jesus is souls. It’s the reason He came! You were lost at one time, aren’t you so glad that He found you? Jesus said that He came to “seek and to save that which was lost” SEEK and SAVE. This is a search and rescue mission, mandated to us from Heaven. Jesus told us to “Go into all the world and preach the Gospel!” in Acts 1:8 He said that we would be a witness of Him unto the uttermost parts of the Earth. It’s time to rise up, fully yielded to and empowered by the Holy Ghost, without fear holding any one of us back, and go outside the four walls and reach people on a daily basis with the awesome Gospel of Jesus Christ! You don’t have to know everything, you only have to know Jesus! Paul said in 1 Corinthians 2 that his speech and preaching was not with “wise and persuasive words”. In Acts 4 the Pharisees marveled that Peter and John were “Unlearned and ignorant men” but “Took knowledge of the fact that they had been with Jesus”. Jesus told the disciples that the Holy Spirit would give them the words to say, and not to even premeditate on what to say! What’s more, the last verse of the Book of Mark says “And the Lord worked with them, confirming the Word with signs following!” As you proclaim the Gospel, in the best way you know how, the Holy Spirit will work WITH YOU! I am reminded of a wonderful testimony when I was training people in street Evangelism. There was an elderly lady who wanted to win souls, however she had poor vision so she had trouble seeing the Gospel Soul Winning Script that we used to witness. When we arrived at the first door, a young lady who was clearly busy answered the door. She didn’t know us, and seemed ready to get back to her chores. The elderly lady began to read the Soul Winning Script, however because her vision was poor, and she was nervous, she began to fumble all around the Script incoherantly. Her daughter who was there tried to step in, but I didn’t let her. To any modern day Pharisee or “theologian”, this would have been a VERY poor way to communicate the Gospel. However, when I looked at the young ladies face, tears began to stream down her face, and she felt the overwhelming love of God. I helped the elderly lady through the script, and the young lady prayed and accepted Christ into her heart!